It's Remembrance Day in Canada and together we will share in an 11:00 a.m. moment of silence to honour our military, past and present. Here are some interesting points to note on this solemn day. With Canada's newest Defence Minister, Harjit Sajjan, being a Sikh and a former soldier, this exhibition that highlights the contributions of Sikh soldiers over the years is timely. And I love this sweet, multi-flag tribute to Canadian veterans. It's difficult to comprehend how many people have lost their lives to war, but this video honours a few loved ones who paid the ultimate price. Peace to you, my friends. On to What I Ate Wednesday. Today I'm looking at my food consumption from yesterday, beginning with my breakfast, above. 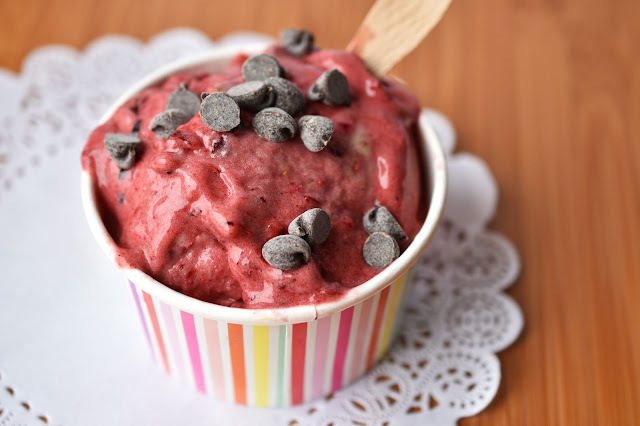 I started my day with banana, raspberry, cherry "nice cream," with a few chocolate chips on top. (Because why not?) It's pure fruit, so you need a bit of fat on top. That's my thinking anyway. It was actually a bit chilly yesterday so I was freezing after I ate my nice cream. 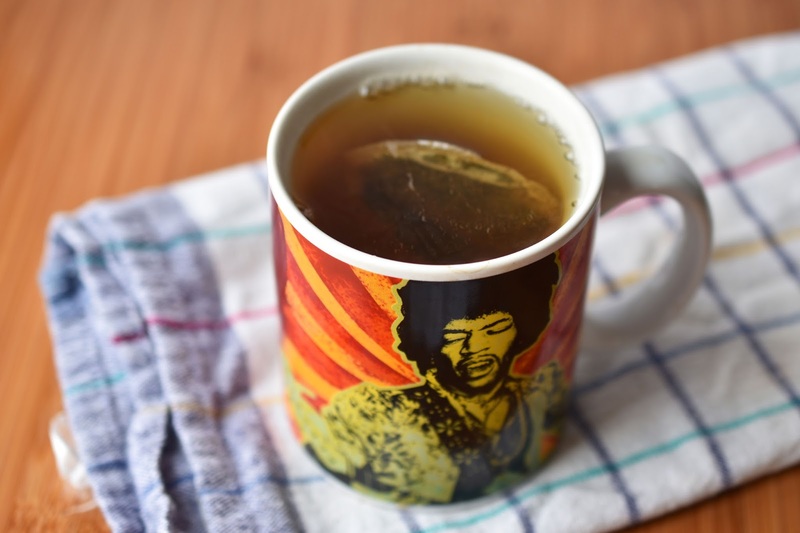 I decided to make myself a cup of tea - in my husband's Jimi Hendrix mug. Just to change things up a bit. I'm kind of embarrassed that my tea bag is still in there. I have Irish and Scottish roots so I should probably make a proper cup of tea using a teapot. But this is quicker, so there's that. 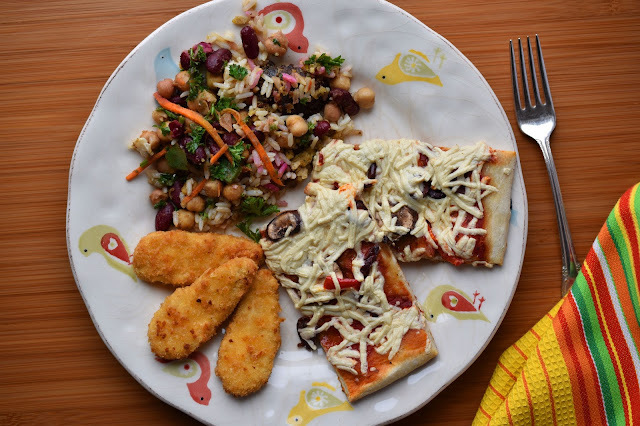 Lunch was leftover vegan pizza with Daiya "cheese" that my husband had made for dinner the night before. I also cooked up a few vegan breaded nuggets. And I had a little bit of leftover rice and bean salad from a meal I got at the mall the day before, so I heated that up too. An easy and tasty lunch. 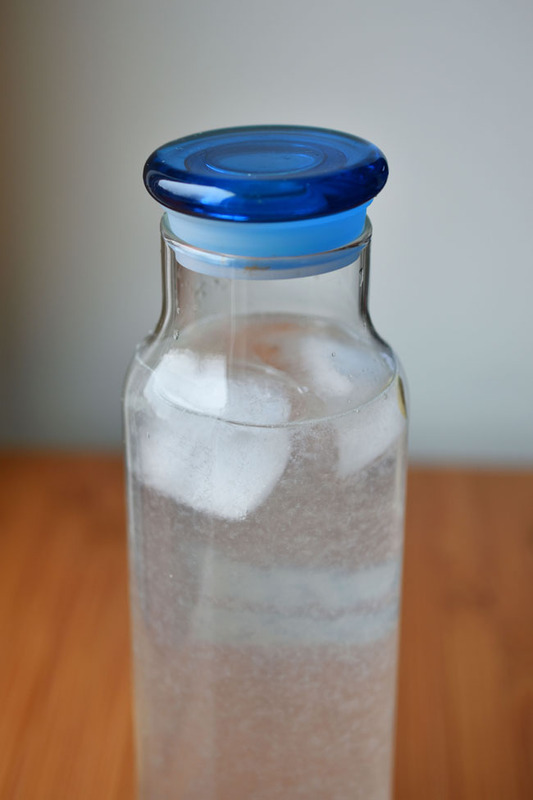 Realized I was feeling dehydrated after lunch so I filled a big bottle with freshly squeezed lemon juice and water. 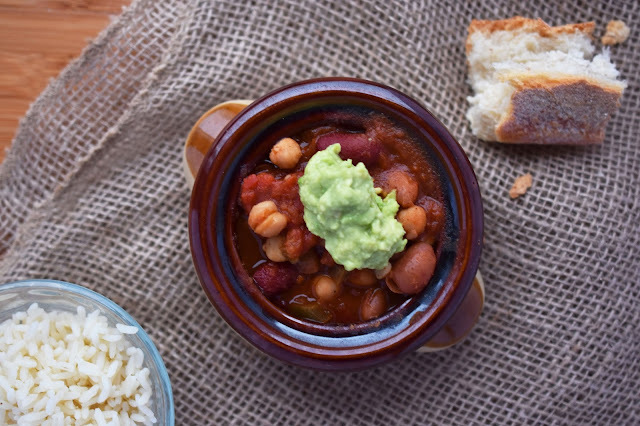 Early in the day, I cooked up some Versatile Vegetarian Chili. I wanted to get dinner out of the way before my energy flagged in the afternoon. Later on, I cooked some rice to serve the chili over and made some fresh guacamole to put on top. When the kids got home from school my little gal and I decided to make vegan brownies. I had a big chunk for dessert after the chili. 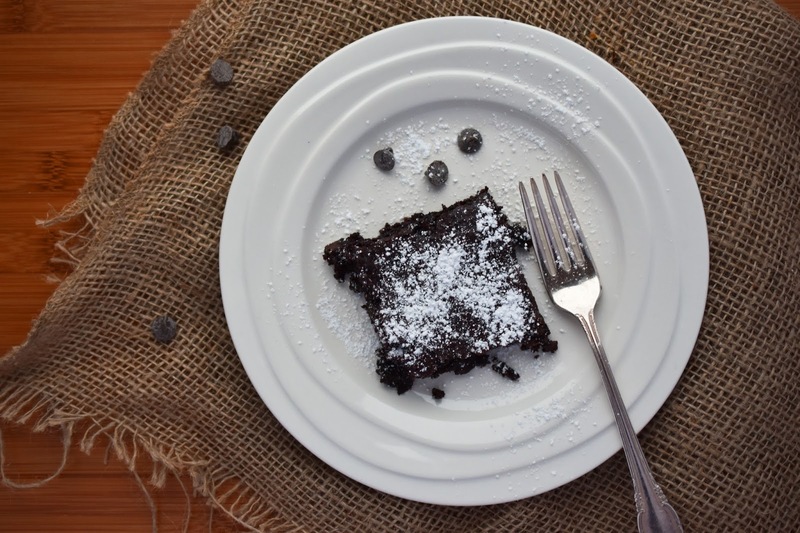 What are you going to have for dinner (and dessert!) on this fine day? I thought leaving the tea bag in the cup was proper. It's usually because I'm too cold and it takes too long to brew a pot of proper tea. lol. Your right it must be the Irish and Scottish roots. I always love seeing your food photos, everything looks so healthy and yummy!